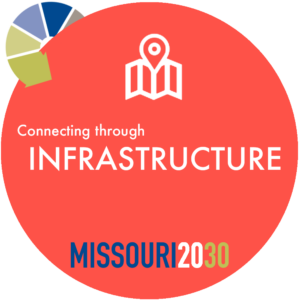 After months of work, the 21st Century Missouri Transportation System Task Force has delivered its final report highlighting numerous positive steps the state could take to invest in this vital asset. The report recommends new funding to improve the state’s transportation system, including creating $400-$500 million in new annual revenue via a 10 cent per gallon gasoline tax increase and a 12 cent per gallon diesel tax increase. These fuel tax increases would need to be placed on the ballot and approved by Missouri voters. The task force is also calling for a diversification in how the state funds transportation. The group recommends increasing licensing and vehicle fees—including doubling the fees for electric and hybrid vehicles. The task force also suggests that a portion of the sales tax collected on internet purchases could be designated for transportation use. The task force is also recommending that lawmakers allow local communities to pass taxes to fund transportation improvement projects in their areas. Rep. Kevin Corlew, a Republican from Kansas City, chaired the task force and said “transportation needs a shot in the arm.” He said the recommendations would help create a “reliable, sustainable and diversified” funding source. “We are positioned in such a way to be a real transportation hub, to be a logistics leader and to have a world class transportation system,” Corlew said. The Missouri Chamber of Commerce and Industry provided important input into the report. In August, President and CEO Daniel P. Mehan testified to the task force. Click here to watch his testimony. The Missouri Chamber supports the task force’s recommendation to seek gasoline and diesel tax increases to fund transportation infrastructure work. The Missouri Chamber also agrees with the general idea of looking to a broad spectrum of possible funding sources to help invest in improving our system.